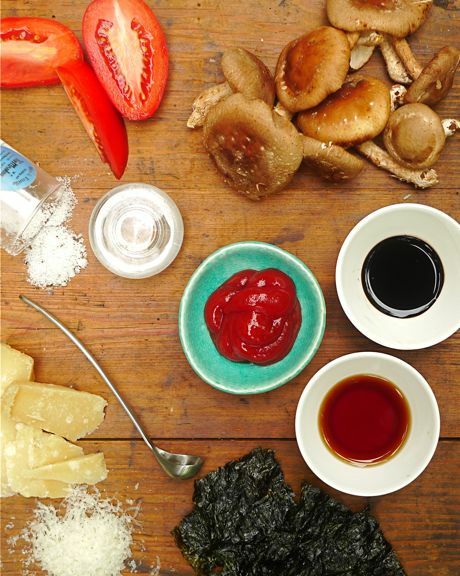 Ingredients rich with umami, natural and otherwise: Clockwise from the top right, tomatoes, shiitake mushrooms, Maggi Sauce, fish sauce, seaweed, parmesan cheese, truffle salt and, in the center, tomato ketchup. What does umami say to you? Does it conjure images of hamburgers oozing savory juices? Shiitake mushrooms simmering in a flavorful broth? Words like “meaty” or “brothy” or “delicious”? 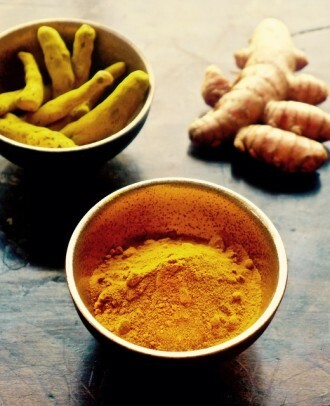 Even though the word has been around for over a century—umami was coined in 1909 by Kikunae Ikeda, a Japanese chemist—it seems that only lately have chefs, restaurants and the rest of the food world begun to ride the wave of “the fifth flavor, an irresistible taste that’s been around since ancient Rome. That would be monosodium glutamate. But the burger toppings are also key: Shiitake mushrooms, caramelized onions, roasted tomato, parmesan crisp, umami ketchup flavored with “a bit of truffle.” Starting to get the picture? The winning cheese-tomato-onion-mushroom formula even turns up in the vegetarian Earth Burger: mushroom and edamame patty, white soy aioli, truffle ricotta, cipollini onions, lettuce and slow-roasted tomatoes. So what the heck is umami? And what does it have to do with MSG? Moreover, we like what MSG does to the food we eat. For decades commercially made MSG has been widely used as a flavor enhancer, particularly by restaurants and packaged food manufacturers, but there has long been some concern about health effects. Magee mentions Chinese restaurant syndrome with its attendant chest pain and headaches. Still toxicologists say that the chemical compound is “harmless” for most people, even in large amounts. The question is whether, in the interest of deliciousness, we want to spike our food with chemical MSG, when naturally occurring glutamates, such as those that appear in shiitake mushrooms and roasted tomatoes, can be a magnificent source of flavor. When combined, many of these glutamate-rich ingredients boost each other’s tastes—hence, the piling on of ingredients in the classic Umami burger. 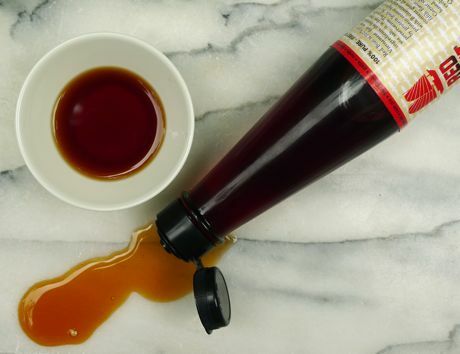 And there are a host of high-glutamate Asian condiments such as Vietnamese and Thai fish sauces, miso paste, naturally brewed soy and mushroom sauces, hoisin sauce and many varieties of dried seaweed with salty, savory flavors. Harold Magee mentions dulce, a dried red seaweed, that “when fried,….develops a distinct odor of bacon.” Salt-cured products such as ham, and some fermented foods, such as salty, funky-smelling shrimp paste and fermented bean curd, can also impart savory flavors to other foods. Remember the parmesan cheese crisp on the Umami Burger? Fleishman, incidentally, told Stucky that the toppings on the burger equal “umami x 6.” But as she points out, too much umami can unbalance a dish, making it taste “muddy” or “flabby.” Often, adding acid is the only way to temper a surfeit of umami—which is why sushi, dipped in soy sauce, is served with pickled ginger, or hamburgers are especially delicious with dill pickles. Parmesan cheese: Aged parmesan appears to be “the most umami-rich ingredient on land.” On a chart created by K. Ninomiya, entitled Naturally Occurring Umami and reprinted in Stuckey’s book, the cheese has about 1,650 mg of free glutamic acid per 100 grams, more than any other food listed. 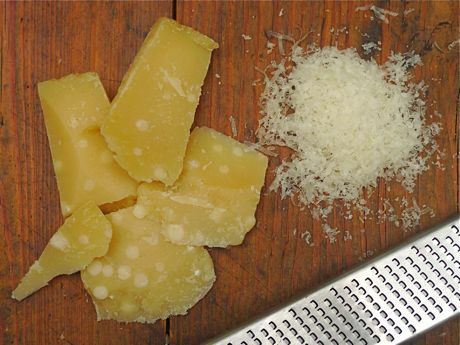 The aging process is especially important, since over time parmesan develops pockets of crunchy, high-glutamate crystals that are intensely flavorful when you bite into them. 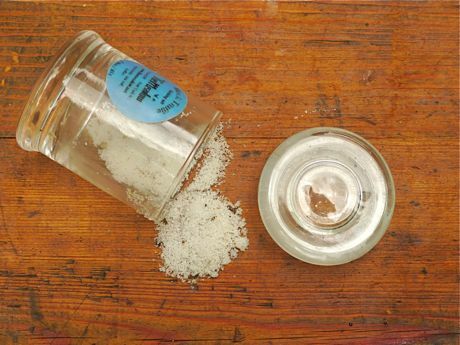 Grated, the cheese will add salty, savory “oomph” to pestos, salads, and vegetables such as white beans cooked in olive oil. Simmering the rind of an aged parmigiano reggiano in vegetable soup will create an almost meaty taste. If you’d like to fool around with pesto, you might want to try Spicelines recipe for Linguine and Shrimp with Basil, Marjoram and Tarragon Pesto. 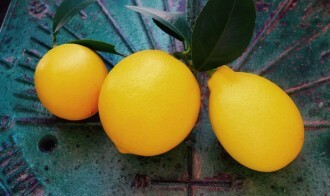 Note that the parmesan’s umami is balanced by the juice and zest of one lemon. Roasted tomatoes: Tomatoes, especially ripe summer ones, are full of glutamic acid which, according to Wikipedia, is “one of the most abundant naturally occurring non-essential amino acids. 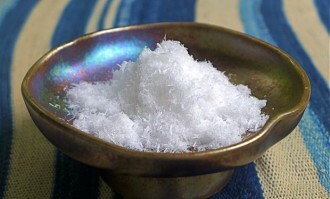 (MSG is the salt of glutamic acid.) When you cook tomatoes, the flavor gets deeper and more intense. To compare, take a bite of a raw plum tomato, then of a roasted tomato. Both may be delicious, but the roasted tomatoes have a rounder, more savory flavor. The same goes for sun-dried tomatoes. 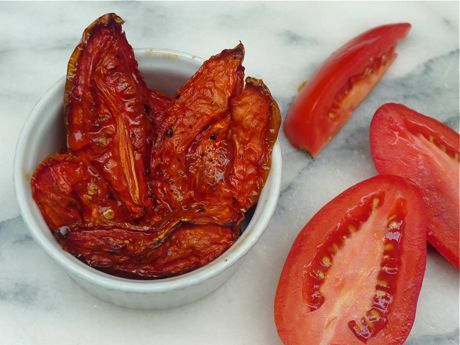 For a wonderful condiment, try Spicelines recipe for Slow-Roasted Tomatoes with Preserved Lemon, Cinnamon and White Pepper. Once again, umami + acid=delicious. 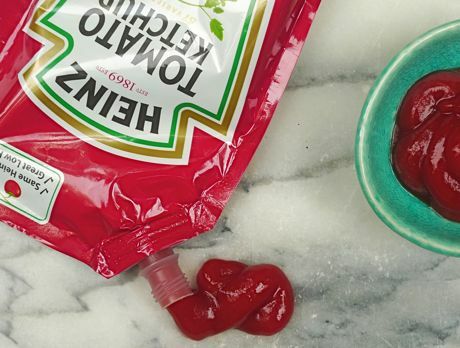 Tomato Ketchup: Same principle as roasted tomatoes, tomato paste and canned tomatoes. Cooking or processing boosts the glutamic acid content of the tomatoes, increasing the umami quotient—and when you add a little sugar and salt, look out! At Umami Burger, the homemade ketchup includes a “bit of truffle” for a more powerful flavor wallop. We all know ketchup lovers who see French fries as a delivery system for the red stuff. Myself: I love duck fat fries and wouldn’t dream of defiling them like that. Sauteed shiitakes: Raw shiitake mushrooms are not especially full of naturally occurring umami—corn and green peas, interestingly enough, rank higher on Ninomiya’s chart—but once they’re cooked, they become wonderfully meaty and succulent. 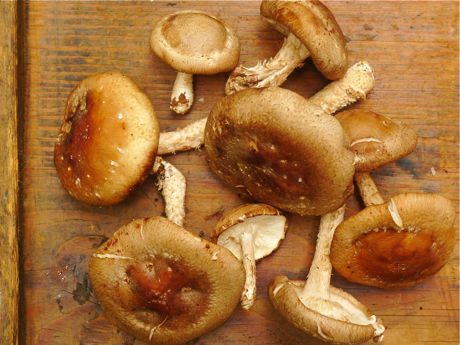 (Sauteed shiitakes are one of the “umami x 6” ingredients on the classic Umami Burger.) I love eating them on their own, sautéed with garlic and herbs, added to the dressing for Thanksgiving turkey, in stir-fries with other vegetables, and in soups. Fish sauce: Vietnamese and Thai fish sauces score high in naturally occurring umami on Ninomiya’s chart, right in between kelp and soy sauce. The product of tiny fish left to ferment for as long as two years, it is almost unbearably smelly on its own, but mixed into other liquids, it creates a deep, savory, more rounded flavor, even in all-vegetable dishes. The Romans, incidentally, knew about fermented fish sauce. Theirs was called garum and it was the liquid produced by salted and fermented fish intestines. In Around the Roman Table, Patrick Faas says that since garum no longer exists, it’s hard to imagine the flavor it gave to Roman cuisine. Still, the book includes ancient recipes for dishes as varied as Alexandrian Pumpkin with Spices, Puree of Boiled Lettuce and Veal with Pine Kernel Sauce, all of which included garum. 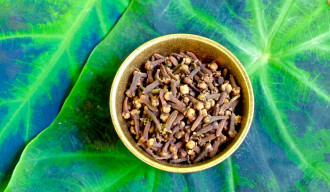 In Thai Street Food, David Thompson describes nam pla, aka fish sauce, as “the lifeblood of Thai cooking.” And indeed, almost everything I ate at Pok Pok Ny last week, even the fried porgy, was seasoned with nam pla, as well as lime juice, garlic, sugar and chopped green chiles—umami, plus a medly of salty, sour, sweet and hot flavors which teased out the deliciousness of the porgy’s white flesh and the charcoal-grilled eggplant. Two good brands to try are Viet Huong 3 Crabs Fish Sauce and Red Boat, the lighter, organic fish sauce made from Phu Quoc anchovies and aged for over a year, that’s pictured here. Umami Burger suggests adding “just a drop” of the sauce to stews, soups and gravies to deepen the flavor. You can see a recipe for beef braised in chicken stock with fish sauce on the website. 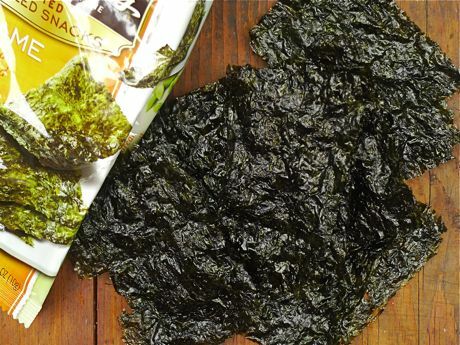 Seaweed: If you’d like to taste nearly pure umami, try Annie Chun’s roasted Korean seaweed with sesame oil and salt. These savory, paper-thin snacks literally melt in your mouth—and there are only 30 calories in an entire package! Lay them on grilled burger patties for an umami boost or shred them into soups or over roasted vegetables. In Japanese cuisine, dried seaweeds are used to make flavorful stocks for soups, sauces and simmered dishes. Maggi sauce: Apparently David Chang put bottles of Maggi sauce on the tables when he opened Ma Peche in midtown Manhattan. 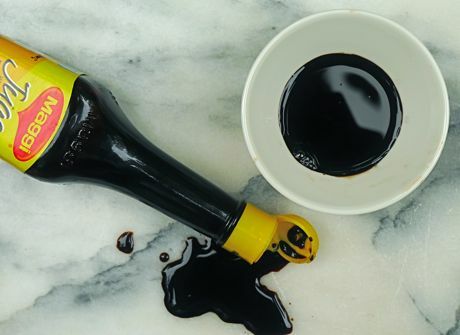 According to Barb Stuckey, he found parallels between savory Asian soy sauce and the dark, super salty liquid seasoning that is popular in Europe and Mexico. What’s the appeal of Maggi? 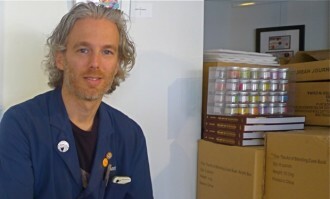 Stuckey says that the label lists disodium inosinate and disodium guanylate, “two of the three purest forms of umami on earth” as ingredients. The label on the bottle I bought at a nearby Mexican grocer, where it’s sold as Maggi Jugo or “juice” lists “hydrolyzed proteins,” which is essentially protein broken down into its amino acid components, among them glutamic acid. Umamianyone? Incidentally, Stuckey attribute our fondess for umami to the fact that both breast milk and amniotic fluid are full of glutamates. 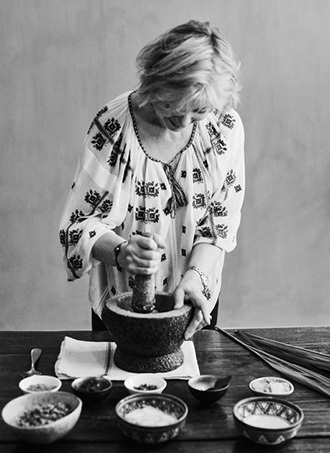 “We’re literally floating in umami until we enter the world,” she says.